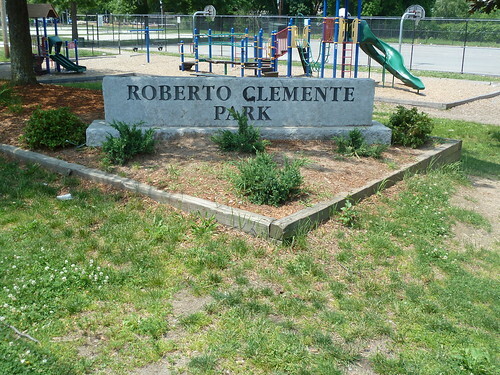 The proposal to change the name of the city park on Middlesex Street from Roberto Clemente Park to Pailin Park appeared to be heading for a serious confrontation at Wednesday’s Board of Parks meeting but the board wisely tabled the proposal to allow proponents and opponents of the name change to discuss this further. From all accounts, that was the correct outcome. Last Sunday I wrote at length on the history of the park and of how the name change proposal had come about. In retrospect, the council’s vote at that week’s meeting to direct the city administration to draft a policy for the council to consider on naming public places and renaming public places was a wise move. However, coming up with such a policy will be a challenge, mostly because elected officials want a policy when it makes their lives easier, but don’t want it when it would prevent them from doing something they want to do. About a decade ago, the city was deluged by councilors proposing that squares (i.e., road intersections) be dedicated to recently deceased veterans. It seemed that the only criteria was for a family member of the deceased veteran to make such a request of a city councilor and the councilor and his or her colleagues would oblige. Within the veterans’ community, however, this profusion of square dedications gave rise to a concern that all available intersections would soon have names affixed to them and at some future time when a veteran who had been killed in action or had received high honors for heroism in battle passed away, there would be no place in the city left that could serve as a fitting memorial for the decedent. The city manager at the time, Bernie Lynch, and his administration, working with the Greater Lowell Veterans Council, formulated a policy that greatly curbed the number of veterans who were eligible for square dedications and the council adopted that policy. This policy has worked pretty well, however, that has not prevented hard feelings from arising on numerous occasions since whenever someone wishing to honor a deceased relative who served in the military (but who does not meet the criteria) gets rebuffed. Face it, politicians don’t like to say “no” so some councilors have found work-arounds for this policy which only applies to “squares” meaning street intersections. It doesn’t apply to parks or fields or benches or pretty much anything else. A comprehensive city policy that governs the dedicatory naming of EVERYTHING will provide no such escape clause for councilors. And as this recent issue about Clemente Field has made clear, a policy on when to rename something is also needed. While changing the name of something once dedicated to a person should only be done with great hesitation, it should not be banned outright. Consider the nationwide debate about the renaming of monuments to Civil War Confederate soldiers and politicians. I don’t want to open a debate about that specific topic here but it does serve to illustrate the reason why a “once something is named, we will never change it” policy would be unwise. The timing for adopting such a renaming policy would be especially timely with the new Lowell High School project picking up speed. The various buildings that make up today’s Lowell High School carry many names. Will they automatically be carried over to the new facility? Who decides that? Is it the council or the school committee? And if it’s the school committee, will they be bound by this policy or will it be the council alone? The challenge of creating a policy like this is always in the details. Tuesday night I skipped watching the city council meeting to go to Lowell National Park’s visitor center for that evening’s Moses Greeley Parker lecture which featured Northeastern University journalism professor Dan Kennedy talk about his new book, “The Return of the Moguls: How Jeff Bezos and John Henry are Remaking Newspapers for the Twenty-First Century.” Kennedy previously was a political reporter for the Boston Phoenix who wrote several major stories about Lowell and has been a long-time student of the future of newspapers. His first book, “The Wired City” (2013), was a deep analysis of several different models for providing local news. According to Kennedy, print newspapers reached their peak of profitability in 1998 when nationwide print advertising reached $67 billion. By 2016, the number had plunged to just $16 billion. Online newspaper ads have been growing, but they have just barely reached the $16 billion mark so the net loss of revenue to newspapers has been huge. Contrast that with Google which launched in the early 2000s and by 2010 had $67 billion in advertising revenue. The decline in newspaper revenue began in the mid 1990s when access to the internet became widespread. Newspapers at the time provided free access to their stuff online. While the newspaper industry has taken great abuse for this decision, Kennedy says that criticism is only retrospective. At the time these decisions were being made, it seemed like a good idea. Classified advertising, which was the primary source of newspaper revenue, just disappeared. Most migrated to Craig’s list which was free. Nothing replaced them for newspapers, revenue-wise. Newspaper display ads for retailers like Jordan Marsh and Filene’s used to pack daily print papers. Most of them are gone now too (as are many of the companies that placed such ads). Google and Facebook emerged as the prime source of advertising and have taken the great majority of money spent on digital ads, leaving little for newspaper websites. The word “moguls” in the title of this latest book has a dual meaning. It refers to men like Joseph Pulitzer and William Randolph Hearst who started with nothing and then became incredibly wealthy by starting and growing powerful newspapers. 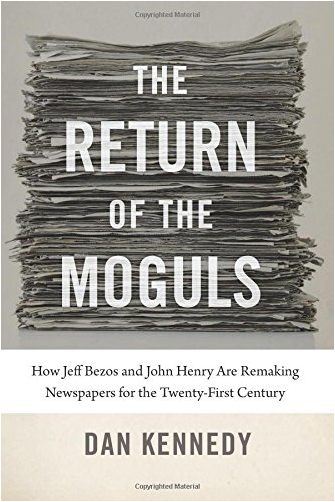 But moguls also refers to people today who first made billions and then purchased established newspapers. The book looks at three such individuals: Aaron Kushner (no relation to the president’s son-in-law) who made his money in the greeting card business and then bought the Orange County Register; John Henry, who made his money as a financial investment advisor, bought the Red Sox and then bought the Boston Globe; and Jeff Bezos, who founded Amazon and bought the Washington Post. The three have had mixed results. Kushner invested heavily in print and gambled that a better quality print edition and less emphasis on digital would lead to a resurgence of print subscriptions. He had some initial success but had expanded too quickly and was soon forced out by his investors. John Henry has had some success and some failures with the Globe. There has been experimentation with new sections. If they catch on, they are given more resources; if they don’t, they are discontinued. Kennedy has recently heard that the paper has just reached profitability but since it’s a privately-owned company, there is no way to confirm that. Jeff Bezos has had the most success of the three. Under his ownership, the Washington Post has grown from a regional DC-area paper that dabbled in national politics to a national publication that competes directly with the New York Times. From all evidence, Bezos has kept a strict hands-off policy with the news and editorial sections of the paper. His interest is in how the paper is delivered to people and how they consume it. In this, the Post is a national leader in innovation. 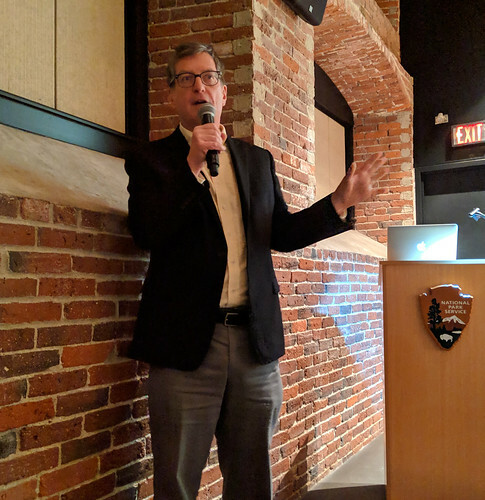 As for newspapers in general, prompted by a question from the audience, Kennedy agreed that the current generation could be the last to consume newspapers as we know them. He said that bundling everything together in a single daily publication – news, opinion, arts, sports, business, advertising, comics, etc. – is not a particularly rational thing to do. Instead, it was a consequence of industrial production. Buying and operating a printing press was expensive, so why not throw everything possible into the publication in the hope of attracting the most readers possible. With so much of journalism today being delivered digitally, the need to motives for combining every subject area together is greatly diminished. Kennedy believes that more and more entities will focus on separate areas of what we know as the news and that users will be more selective in what they choose to pay for and to read. To access any digital news, you first need access to the internet, either through a cable run down your street and connected to your house or via some wireless method (which eventually connects to a cable someplace). The city council at its Tuesday meeting took up a discussion of how the city might provide residents with different options for getting online. 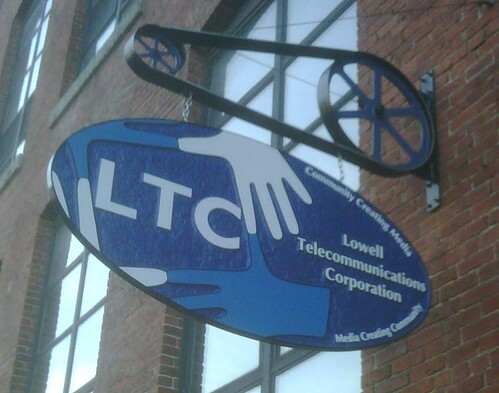 The report (which is available online) gave the 30+ year history of how Lowell got to where it is today in terms of broadband connectivity and also noted that the city recently issued a request for proposals to companies that would provide fiber optic cabling throughout the city and then lease the cable network to multiple internet service providers. The council reacted favorably to this news and referred the report to the council’s Technology and Utilities Subcommittee which will receive a presentation from SiFi, the one company that provided a response to the city’s RFP. For more details about the council’s Tuesday night discussion, check out the minutes of that meeting. 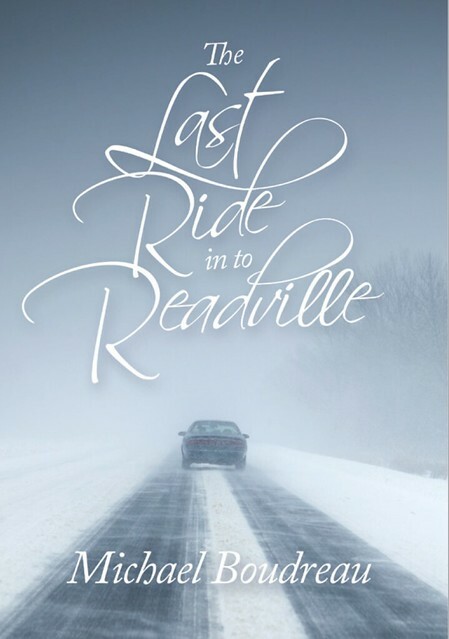 A new memoir by local author Michael Boudreau is now available for purchase online. The book tells the story of growing up in Greater Boston as part of a challenged family then escaping to a career in the U.S. Air Force that took Boudreau all over the world and then eventually returning to Massachusetts and settling in Greater Lowell to reconnect with his family. While Boudreau grew up in the Boston area, he made frequent trips to Lowell in his youth so the book contains some fascinating descriptions of the city in the 1970s.